Learn how we can help with all of your print and digital design needs: Design, Logos, Branding, Web, SEO and more... and some hacks on completely crushing being a work at home parent! My name is Becca Stewart. I am a designer and developer working with a small group of incredibly talented graphic designers, content writers, and web developers. Together we specialize in Wordpress website design and development with a strong foundation of SEO (Search Engine Optimization), print and digital design, and logo design. We have offices in Mays Landing (08330) and Egg Harbor Twp (EHT, NJ 08234), but we are grateful to work with clients around the country. Click here to read more about me! Our turn around time to see the first proof of a project generally exceeds competitors. We will work together to set a reasonable launch date for your website, and we work with you for print deadlines. So why choose Eyely Design to be your Graphic Design Company or Website Design Team? Thinking of choosing us for your new website? You’re making an excellent choice! We work with WordPress, a blogging and content management system (CMS), that can be easily updated by YOU once the site is put into place. That means you are empowered via our customized training video to update your own website pages with text, pictures, PDFs, audio, video and more! WordPress offers a vast plug-in and template assortment so we can meet the design and functionality needs of almost any person or business! We only build sites using stable and well reviewed themes and plugins so that your site can always be updated as WordPress database versions are released. We also offer simple eCommerce solutions (Etsy, PayPal, and WooCommerce integration). Mobile responsiveness is standard with our website builds, and will appear optimized across all of you devices. We proudly offer ongoing maintenance plans, and can tailor a retainer agreement for your content updates. We also offer a good foundation to springboard you into the sea of SEO with a fighting chance against competitors. 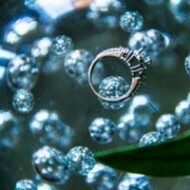 Unless it is a special pre-approved circumstance, Eyely Design does not coordinate printing or photography. We do have some pretty solid recommendations for companies who do a really good job in their respective aforementioned services – click here to view our local South Jersey recommendations! Our job is to design and develop, and we’re damn good at it… things like printer calibration, pre-press, and paper stocks are an entirely different beast! Why do you offer WordPress for websites? Here are just a few reasons why we love WordPress! Themes: Tens of thousands of themes to choose from, upon which we customize based on how you want your website to act (functionality) and look (aesthetics) in order to match your brand. There are endless possibilities. Easy to add content: YOU get to update your own content. And we’re here to help if you get stuck! Foolproof: Previous versions of posts and pages are saved, making it easy to revert changes. Tons of plug-ins: A plug-in is an extension of a WordPress site. It allows WordPress to add specific features that the user would need to customize their website. WordPress has over 30,000 plug-ins available that can accommodate almost any website need, and we can develop a custom plug-in if we have to. Easily Converted to Mobile or Tablet: Being able to view websites on a smartphone or tablet device is integral for mobile engagement and access. Our WordPress Theme installations include mobile and tablet responsiveness. Stay updated: WordPress plugin and theme developers periodically release updates based on possible errors found or even just to update security measures to prevent hackers from accessing your website’s content. Custom build sites do not come with security or error-based updates, which means maintaining a custom built is an on-going, costly process for the website owner. Expand your Google reach: WordPress sites are great for Search Engine Optimization (SEO) because the design and updates to the site allows for people to see your site is active and current, as Google (and all other search engines) bases their keywords and search results on the frequency of updates as well as the relevant, searchable content found inside the site. eCommerce Integration: WordPress seamlessly integrates with a number of eCommerce solutions. Our favorites are Etsy, PayPal, and WooCommerce! Are you still not convinced? Here are even more reasons why we use WordPress! How much do new websites cost? What is your graphic design rate? We graciously accept checks (to Eyely Design), Venmo, and PayPal (to becca@eyelydesign.com) if you wish to pay via credit card. A 50% non-refundable deposit is required for every project. Pricing is subject to change at any time without notice. 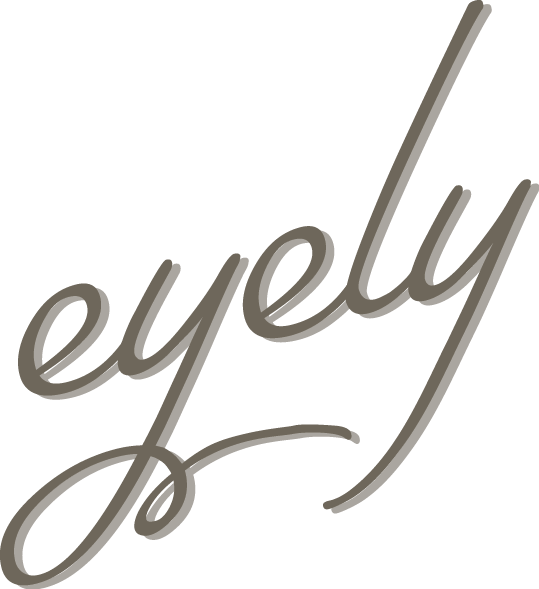 What’s with the name “Eyely”? Visible or apparent to the eye; evident; obvious. … and since owning a business is like having a third child, it seems to fit perfectly with my kids’ names – Riley, Isla, and “Eyely Design”! Family is very important to us. We are very respectful of your time, and we pour our passion into every project. 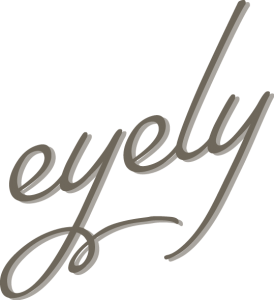 To read more about the values of Eyely Design, read more about me. Are you a graphic designer working in South Jersey or just another mom blogger? I am a born and raised South Jersey girl, living close to Atlantic City (AC) in Mays Landing, NJ 08330 and office space in Egg Harbor Twp (EHT), NJ 08234! I am happy to schedule a meeting in person to go over large project contracts or graphic design services, but for most jobs and smaller projects email or a scheduled phone call does the trick. I also have found a fun following of people who are intrigued by the fact that I’ve been able to raise my kids at home while working with only part-time help, despite the fact that I have a full time responsibility to run a business. I’ve found it completely possible (but definitely not always easy) to raise my kids and still be able to have a steady income and a rewarding career. 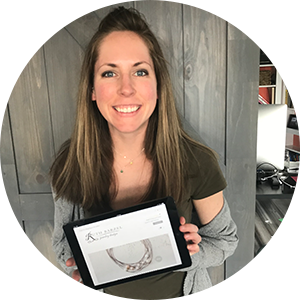 I am happy to share some of my stories and tips with you, too (check out my blog)! Out of respect for everyones time, we feel email is the least intrusive way of initially communicating rather than an unannounced phone call (and let’s face it, with the amount of robo-calls we all receive, it’s hard to answer the phone every time). Shoot an email to becca@eyelydesign.com so we can schedule a kickoff call that allows the proper amount of time to discuss your project. I look forward to personally speaking with you about your next project!